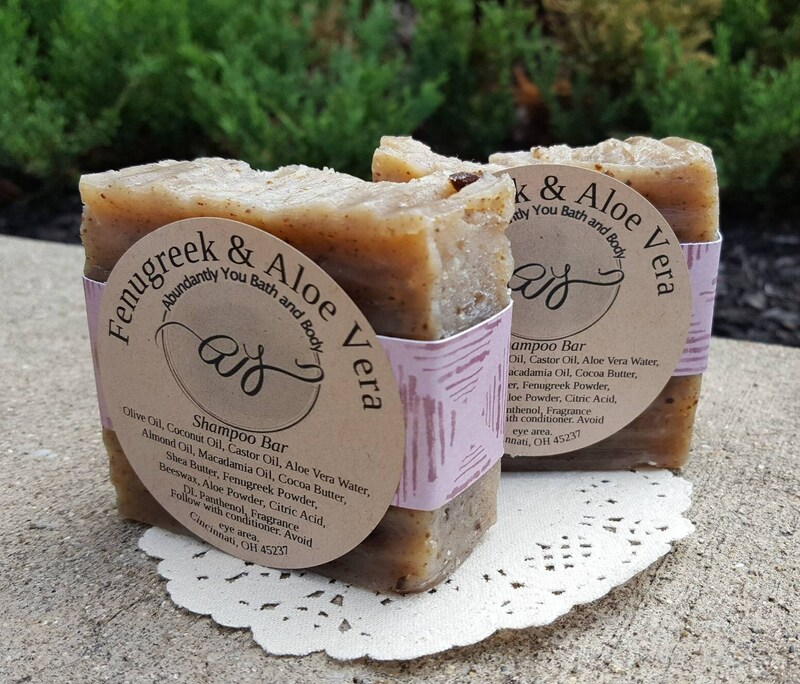 Our Fenugreek and Aloe Vera Shampoo Bar is paraben free, sulfate free, and naturally scented. Every ingredient is excellent in quality and naturally derived. 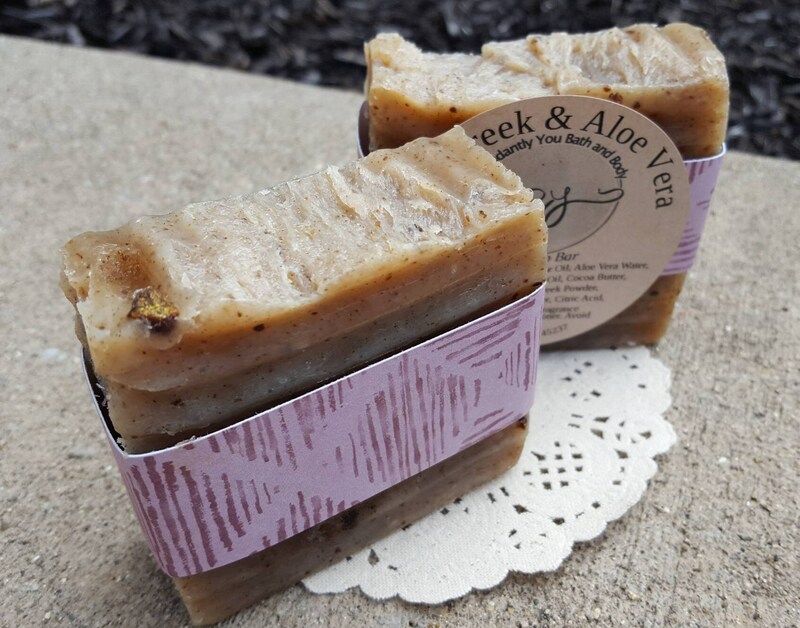 If you are looking for a 2 in 1 cleanser, this shampoo bar is for you. It can also be used as a traditional soap bar and body wash. This means you can cleanse from head to toe with one product. 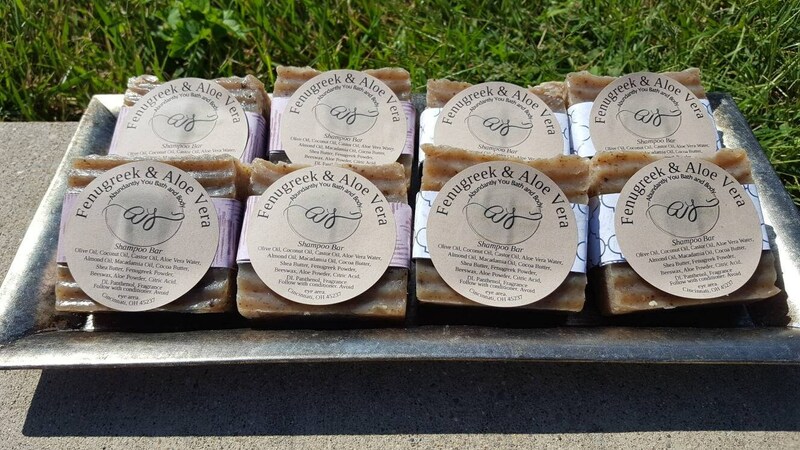 The Abundantly You Fenugreek and Aloe Shampoo Bar bar provides a silky, moisturizing lather that deeply cleanses the hair and scalp. Key ingredients include Fenugreek Powder, Extra Virgin Olive Oil, Organic Coconut Oil, Aloe Vera Water, Castor Oil, Almond Oil, Cocoa Butter, Shea Butter, Macadamia Oil, and Beeswax. These saponified ingredients help to add moisture properties to the shampoo bar. It also helps to remove product build-up from hair and scalp. Gently massage the shampoo bar at the roots of your hair. Shampoo and rinse as normal. As you're rinsing the hair, the lather will flow down your tresses and cleanse from root to tip. To maintain healthy hair, follow your shampoo bar experience with a conditioner. Apple cider vinegar rinses are a personal favorite. 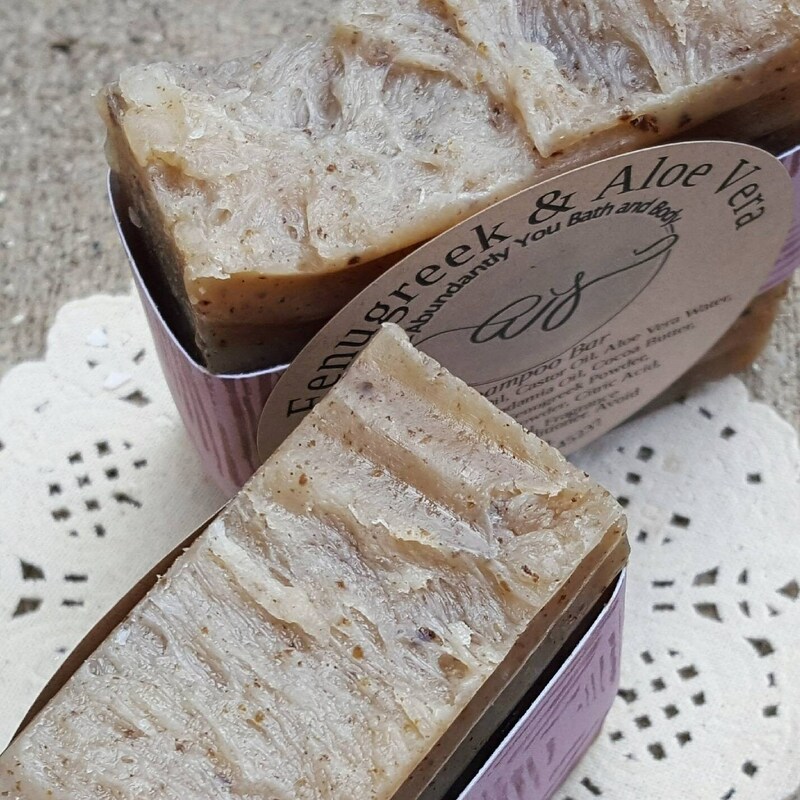 To extend the life of your shampoo soap bar, keep dry between wash days. Each fenugreek shampoo bar weighs approximately 4 ounces.